Mamma loves a place where you can stay and play all day, and Karkarook is the perfect spot! 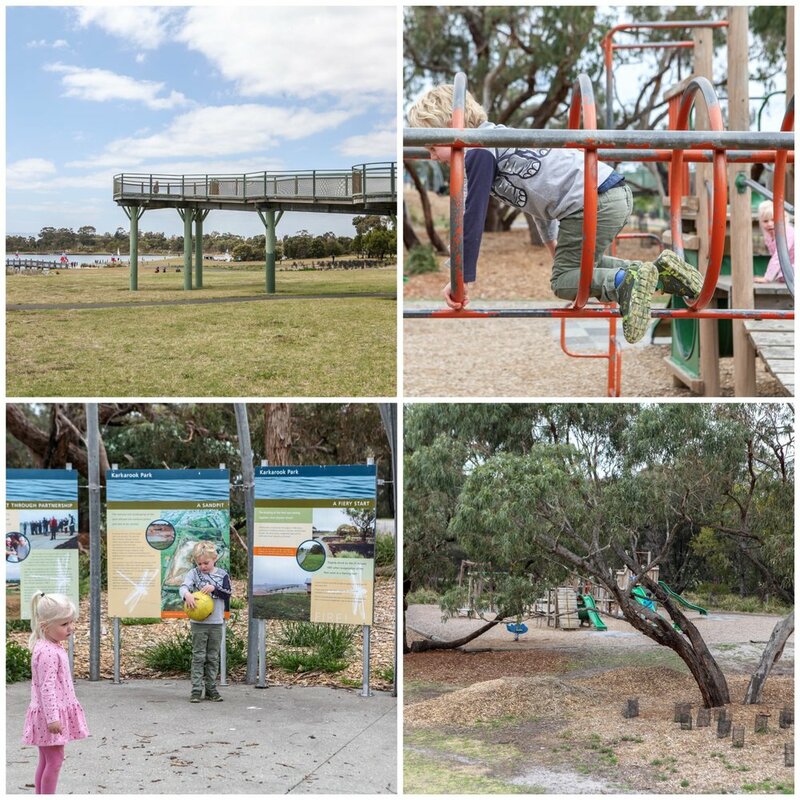 At this reserve there’s a lake, wetlands, walking track, picnic tables with free BBQ’s, AND a playground! Come for a picnic lunch, bring a ball and have a kick around the wide open spaces; walk down to the lake and check out the ducks and waterbirds; bring your bike/scooter and skate around the many walking tracks - you may even spot an echidna! Surrounded by lots of leafy trees and piles of tanbark, this place just screams out for an adventure! Keen for more action? Head around the corner to the awesome Wild Buggy. Still hungry? Cool Bean Kitchen make some awesome burgers!